When it comes to choosing a pair of earphones there is so much variety that it can be hard to pick a brand or model. You want something that has a clear sound with a crisp feel, so that leisure or your workout can be enjoyed to the full. They should be durable, sturdy, and fit into your budget - which is far more possible than it sounds. They are so important for enjoying music to its maximum potential while working out or even just hanging around. When it comes to bass you should be looking for something that does not overtake the main sound, but instead compliments it with a light and cool undertone that really helps you to get into the track and keeps you moving at a steady beat, or has you moving your head with it. The bass should add to the overall enjoyment of the sound, not overcome it. This article will look at the best earphones for bass, as well as the best ones you can buy. These nifty headphones have a stylish look and sleek appearance that gives them an almost sci-fi feel. The dynamic speakers in the earbuds have powerful magnets that ensure outstanding clarity and accuracy when it comes to sound and frequency. They have superb attenuation of ambient noise for up to 20DB, with a wide range of ear adaptors to fit any size ear comfortably. They have a unique feature that allows you to tune the bass manually, so you can have a level of bass that suits your needs and personal taste. You can have as much or as little as you like, it offers complete freedom, which makes it different from most other earphones that offer bass. It is compatible with all types of phones and MP3 players and comes with a premium protective case, ear adaptors, spare ear clips, a cable clip, and cleaning tools for the headphones. All of this is priced at around £188, which may seem expensive but it is actually an excellent deal for the quality and accessories you get. On the higher end of the price scale. A unique set of headphones that produce a heavy bass in a unique way, these may be a little more expensive than most but they are certainly worth it. These headphones are comfortable, durable, and all about making sure you have a good experience. Ideal for leisure and exercise, you will definitely want to give these earphones for bass. Q: Is there a remote to skip tracks? A: No this product does not include a remote for playing or skipping tracks. These in ear canal headphones are able to reproduce a powerful and dynamic deep bass sound, and they are priced at around £13.97. The Xtreme Xplosives series combines an aggressive and innovative new design that still retains the high quality build and style that JVC are known for. They are there to meet the needs of music enthusiasts and people exercising around the globe, so that they can have a high quality experience. This in ear headphone features a bass port for some amazing and simply outstanding bass reproduction, as well as a durable rubber protector for safety against impact and to help you withstand heavy use. This is the most compact of the Xtreme Xplosives range, featuring a 10mm diaphragm with neodymium magnets and a truly superior sound isolation due to the silicon ear pieces. The fit is snug, secure, and designed to fit any ear size without compromising the overall comfort. If you are looking for a pair of cheap headphones that offer a decent bass and a good sound quality, then these might be the best for you. These cheap headphones have an undisputable quality of sound that really is superb for a pair of headphones that are priced so low. While they may not be considered the most durable, they won’t cost the earth for you to replace if they end up no longer working. "I have had these for ages now and so far they have never let me down! 🙂 Great sound and bass too." - By Sab B. 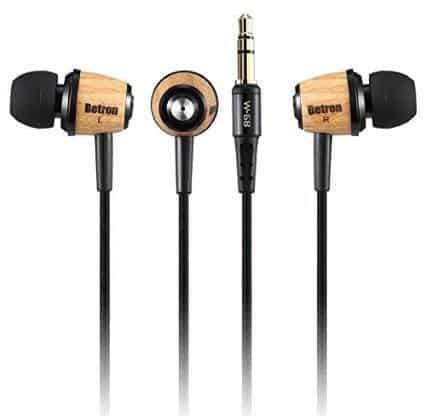 These earphones have a superb quality of sound, and are priced at around £149.95. They use a new dynamic driver that delivers a smooth, great bass and a very detailed sound. They have a secured loop design that curl around the inner rim of the ear for a secure fit. The loops are cushioned for maximum comfort. The micro porous filter allows you to experience an open sound that is rich and spacious to give you lifelike detail and allow you to feel as though you are physically there, experiencing the music in person. It can be difficult to achieve this with headphones, but they have certainly done it. The quality is the same as their classic Hi-Fi speakers. If you are looking for exception sound and a deep bass that is tuned to perfection, then it is certainly worth trying out these earphones. They may be a little more expensive than most but they are worth every penny. 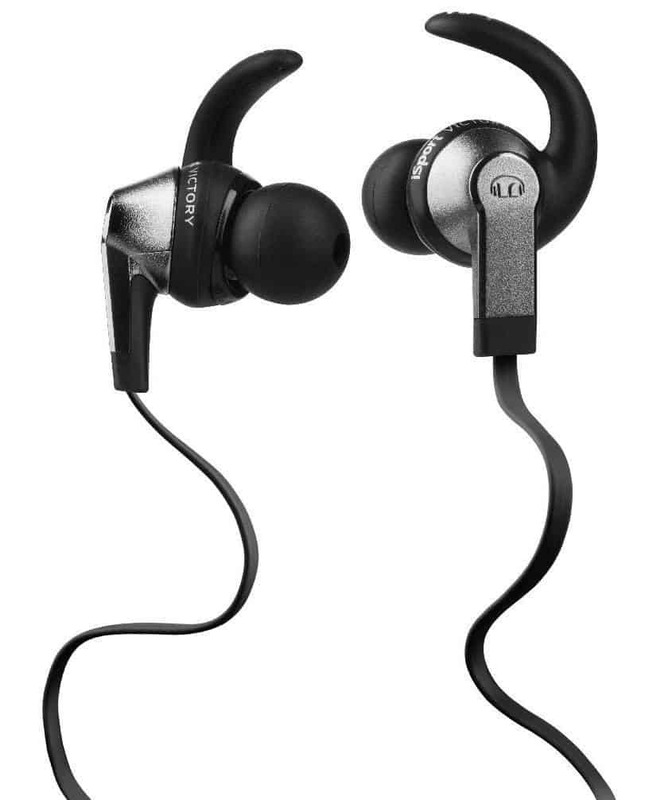 Ideal for exercising or just hanging out and listening to music, these earphones provide an unrivaled sound quality. While there have been a few occasions where the sound has traveled up the cables, these are few and far between. 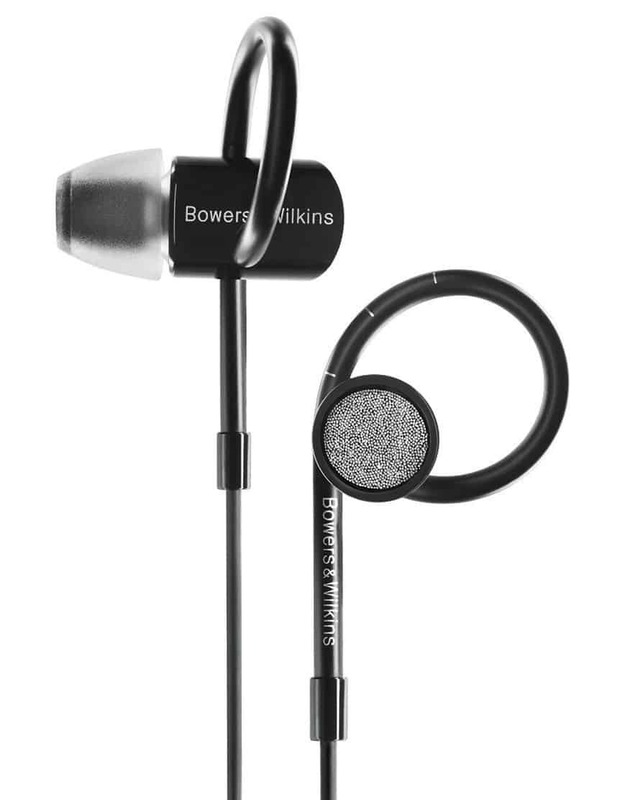 If you are looking for exception sound and a deep bass that is tuned to perfection, then this Bowers and Wilkins C5 Series 2 is certainly worth trying out these earphones. They may be a little more expensive than most but they are worth every penny. Ideal for exercising or just hanging out and listening to music, these earphones provide an unrivalled sound quality. While there have been a few occasions where the sound has travelled up the cables, these are few and far between. 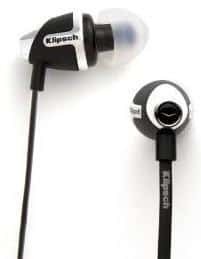 Priced at around £15.47 these cheap bass earphones have great reviews, especially considering their low price. They are fully enclosed and dynamic, with a sleek design and a selection of funky and interesting colours to choose from. They are rugged and generally durable, so you know they will last you a while. If you are looking for a cheap pair of headphones and you like a loud bass so you can move with the beat, then these are a great pair to try. They provide a good quality sound and are at a low price so you don’t need to worry about spending a fortune if anything happens to them. While the cables may tangle easily, this is fixable with a simple separator which can be purchased at a very low cost. These earphones provide the superb quality of sound that Monster are known for. It’s clear and crisp with a heavy bass to compliment the overall sound. There is total noise isolation too for your maximum enjoyment while using them. Their patented clip will keep the buds in your ears, preventing them from slipping and falling during a workout. There is a three button cable that allows you to control your music, the sound, and even pick up calls while you’re on the go. They come with a protective pouch for carrying them in as well as a number of clips and buds so that you can find the perfect fit. Priced at around £79.95, they are middle range in price. These nifty and stylish earphones are the world’s first to have a double air compression driver, which delivers a deep bass with great control and accuracy. Each earpiece has two 11mm drivers hat are mounted in parallel to give a low, intense frequency experience. They have accentuated bass and reduced sound distortion. Priced at around £99.99, they are completely compatible with Apple products so that you can control them easily with the remote on the earphones. You can flick through tracks and control the volume with ease and without taking away from your run or exercise. The integrated microphone allows for hand free calling, and the cable is nifty as well as being tangle-free. 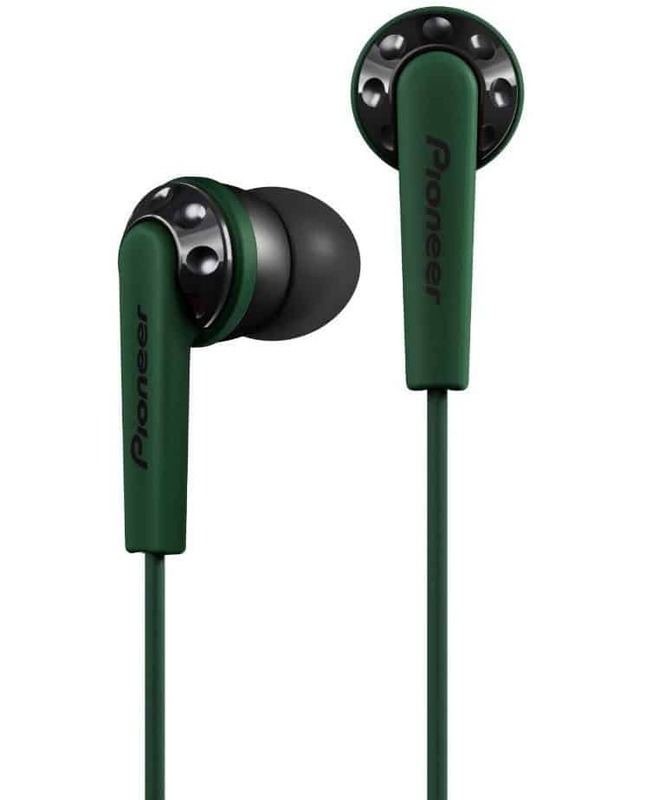 These earphones are good if you are looking for a pair that work well with Apple products, as they are very much centred around the brand. They are durable, reliable, and produce an excellent quality of sound. While they may not always be stable when running and exercising, they are comfortable for an afternoon listening to tunes or watching movies. A good pair of headphones for casual use. Made for a fast-paced lifestyle, Phiaton has combined their popular ﻿﻿PS 210 with an on-cable remote microphone, providing you with a simple way to answer phone calls while listening to music. Ideal for use with today's latest smartphones and mobile devices, they offer greater convenience than standard Y-cables and allow you to simply pause your music to accept a phone call and resume listening with the touch of a button when your call is finished. 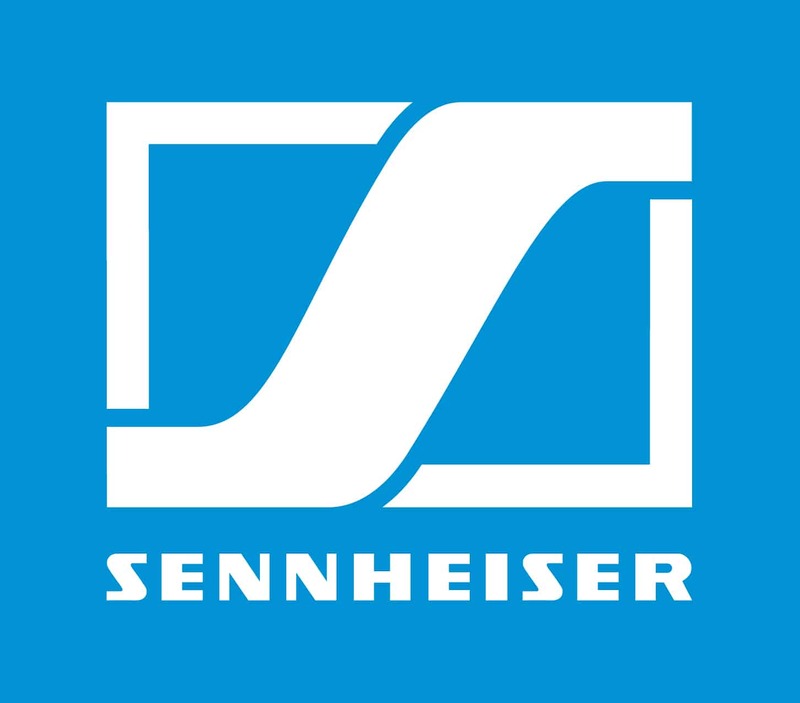 Their unique half in-ear design, combined with silicon eartips and advanced Applied Dynamic Speaker Driver using Acoustic transducer technology, delivers warm, deep bass and crystal clear high frequencies for rich and balanced response with all music genres. 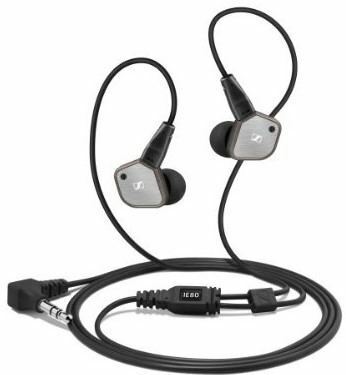 These smooth earphones are not only reliable but they are also highly affordable. They provide fantastic sound and a deep bass that is sure to please the ears as you go about your daily exercise or simply lay back and enjoy some tunes or a movie on your portable player/mobile device. 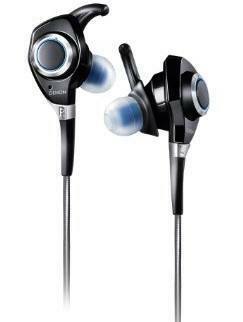 These earphones are priced at around £24.99 and allow you to enjoy superb sound quality thanks to the 12mm driver. The powered bass duct delivers a deep extra bass for a smooth listening experience and one that is perfectly balanced. The neodymium magnet also contributes to the powerful sound delivery, creating an intense feeling that is reminiscent of you listening to the music live. The inline remote and microphone allow for easy control of your music and volume, as well as giving you the ability to answer calls at the click of a button without having to stop and fiddle with your phone – which can really take away from a run. A pouch is also included for safe storage and transport. If you are looking for cheap headphones with a deep bass, these are ideal. Perfect for running, exercising, and leisurely use, you can get a lot of use from these great earphones. 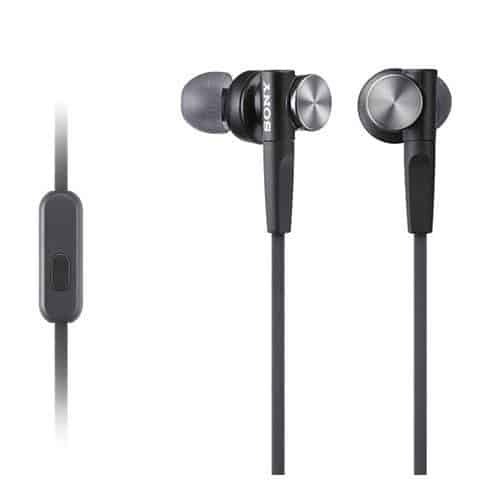 With clear sound and excellent durability, these cheap earphones are ideal for those looking for something inexpensive and relatively hardwearing and reliable. Check our detailed review of Sony MDR-XB50LP here. Unlike traditional, circular-shaped ear tips which don't fit properly, these headphones utilize a patented oval ear tip design, making them virtually impossible to feel and perfect for long-term wear. The oval ear tip creates a perfect seal resulting in superior noise isolation, blocking out almost all ambient noise and providing excellent bass. With these headphones, your plane rides, commutes and workouts will be a private and enjoyable experience every time you plug in. They have award winning sound quality with a deep bass for superior sound and full range clarity. The flat cables are tangle resistant to prevent frustration when you’re running as you won’t need to stop and untangle them. Priced at around £34.99, they are very affordable. These affordable earphones provide a loud sound and deep bass, perfect for those who like to listen to music while travelling or even when working out. The noise isolation is perfect for blocking out the world, and even though the cables can snag a little, the fact they are tangle free is worth it. Affordable, reliable, and with good sound, it’s worth giving them a go. To start with, wood simple sounds better than plastic. The high quality dynamic speaker systems are made for a powerful sound that is driven by the heavy bass and gives stereo sound. They look good, and the cables have been improved to greatly reduce any noise that may come from them as they are reinforced with Kevlar. Priced at around £7.99, these headphones are not only cheap but they are also different and come with fantastic noise cancellation for more privacy. It will come clear even in loud environments, and also has a one-year warranty for your peace of mind. If anything it shows the company’s confidence in their product. 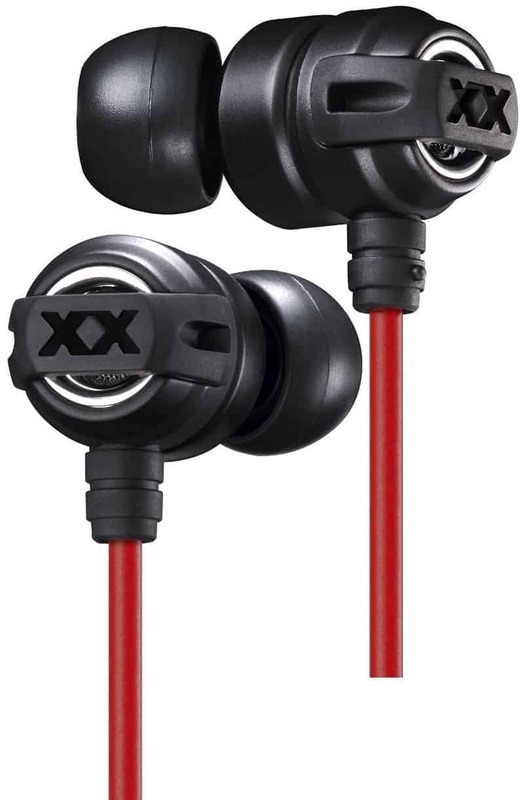 If you are looking for something different and cheap, then these are great earphones to try. 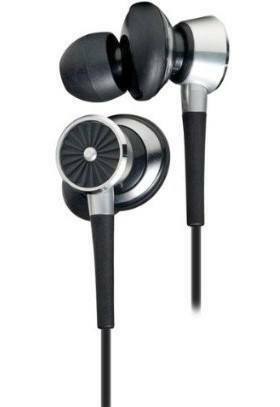 They have superb sound and bass, which gives a balanced rhythm and enjoyable experience to the user. The wood creates a clear and crisp sound, and there is excellent sound isolation as well for total privacy. A good pair to try out, and even if they become damaged they do not cost a fortune to replace. There are so many earphones to choose from, even when it comes to selecting one with the best bass. These ten earphones are some of the best on the market and all provide excellent quality sound, despite their small disadvantages. While there are some brands that are more expensive than others, it does not always mean that they are the best choice to go with or provide the best quality overall. While they are often more durable, it does not mean everything when it comes to picking the perfect pair. Whether you need something for exercising or perhaps just to enjoy movies or leisurely music sessions, there are a pair of earbuds that are perfectly suited to you. 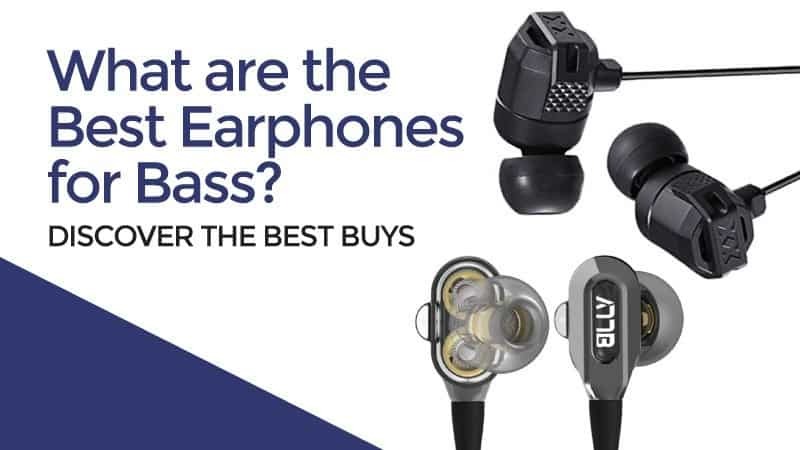 When it comes to looking for the best earphones for bass, there is sure to be a pair from these ten that match your needs, budget, and the look that you are going for.